What could possibly draw an estimated 100,000+ people to Gilroy, CA every summer for the past 36 years? Garlic of course! 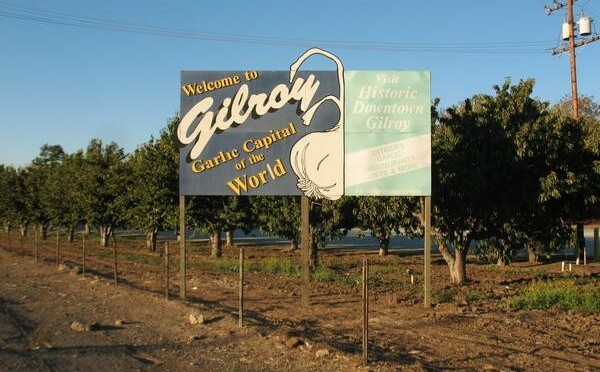 The Gilroy Garlic Festival, one of the largest food festivals in the country, is a 3-day celebration of Gilroy’s robust garlic crop filled with incredible garlicky food, beverages, arts & crafts, live entertainment, cooking demonstrations, a children’s area and so much more. This year’s festival is happening this weekend, July 25-27, 2014 at Christmas Hill Park in Gilroy, about 30 miles south of San Jose off Highway 101. We, at Jeff’s Naturals, are fans of this festival not only because it raises millions of dollars for various local charities, but because each of our delectable Garlic Stuffed olives are hand stuffed with plump and savory cloves of garlic that were grown in nearby…..you guessed it……Gilroy, California, the garlic capital of the U.S. So when you are enjoying one of our garlic stuffed olives, take a moment to appreciate the family farms in Gilroy where these plump and savory cloves of garlic came from. To learn more about this unique festival, it’s history and the wonderful work these volunteers do for their community, visit gilroygarlicfestival.com.